Thinglink is a very cool application for creating interactive images. Simply upload any photo or image to Thinglink, and add tags to label and embed hyperlinks. The educational possibilities are limitless. Teachers can upload and tag historical images for a social studies lesson, tag famous paintings for an art lesson, or tag a map or images related to a school (or virtual)field trip. 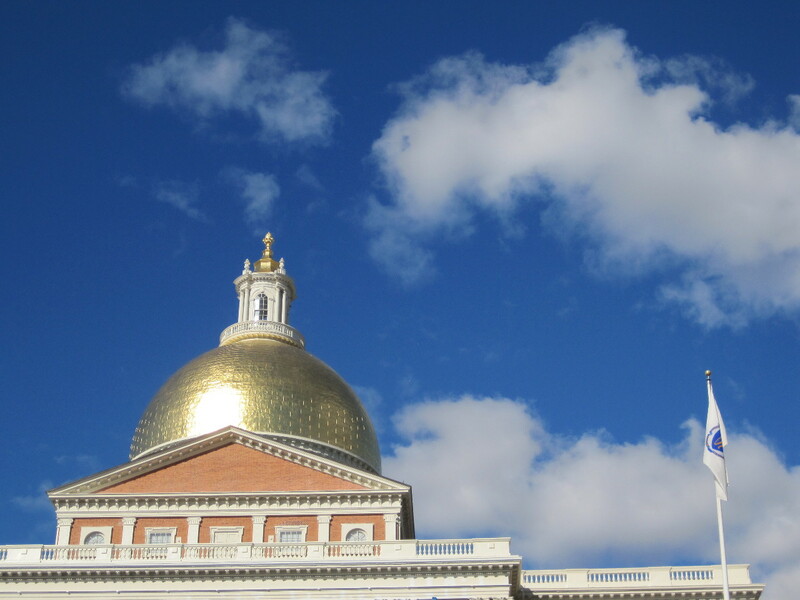 In my example, I uploaded a photo I took of the Massachusetts State House, and added a few tags that lead to more information about the building, the architect, and the state flag. I also embedded the image below, so that you can see who easily you can view and interact with images embedded in a blog or classroom webpage. Teachers can also allow students to edit and add links to images for a more collaborative style of learning. For example, students could be asked to add tags identifying elements of a map or historic landmark. Thinglink images can be shared on blogs, wikis, Facebook, Tumblr, Twitter, and via email. A free subscription to Thinglink allows a maximum of 50 image uploads; educators can upgrade to a discounted monthly fee-based subscription for expanded features.